Recorded on February 26, 2018 at CLARA Auditorium in Sacramento The Central Valley is often called "America's Salad Bowl" and "the World's Breadbasket." It's definitely integral to Sacramento's "Farm to Fork" image. But right now, more than ever, it is Ground Zero for immigration-reform issues, ICE raids, and a Federal/State clash over "aiding and abetting authorities." That's leading to a lot of fear, turmoil and changes in Central Valley -- to the towns, the farms, the workforce and the food that's being grown and raised there. No matter where you live in California, all of that will affect the food you eat, and probably how much you pay for it. 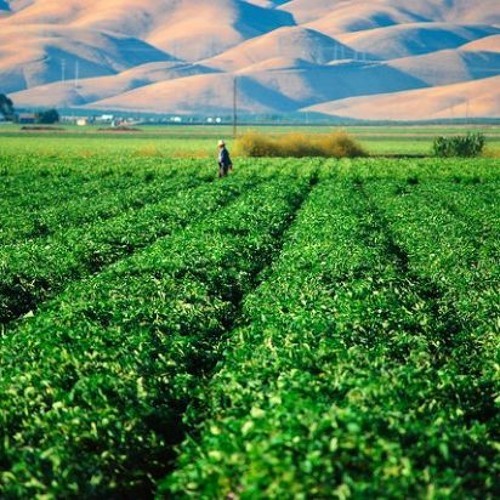 In this "Food for Thought" discussion, we take a close look at the "Farm" in our Farm-to-Fork efforts, and talk about the Central Valley, the often overlooked but major player in the foodie scene we gush over. PANELISTS * Santana Diaz - Yuba City native with family roots in agriculture who started the culinary programs at Levi's Stadium in Santa Clara, then became executive chef at Golden 1 Center, and is now starting a new Farm-to-Fork program as executive chef for UC Davis Health * Bruce Rominger - a fifth-generation Yolo County farmer who runs, along with his brother, the innovative Rominger Brothers Farm in Winters * Lety Valencia - regional organizer for Faith in the Valley, a group of community partners in five Central Valley counties that is focused on improving its residents' futures PODCAST TIMEFRAME * 0 to 6:45 minutes - Intro to California Groundbreakers * 6:45 min - Panelists introduce themselves * 13 min - How the recession, the drought and the immigration deadlock has affected Farmer Bruce's decisions on what crops to pick * 19:15 min - Chef Santana's "Farm to Fork" efforts to boost Central Valley farmers and ranchers, and get more of their food on our plates * 24:40 min - What Lety Valencia is seeing in the Central Valley with ICE raids, arrests and rapid responses * 28:25 min - How immigration turmoil and the minimum-wage increase are affecting farmers and the workers they employ * 34:20 min - The crops California is growing fewer of, because there's fewer hands to pick them * 38:35 min - The Central Valley voted pretty "red" in 2016 - how is the Republican Party's stance on immigration taken by farmers who rely heavily on undocumented workers? * 44:35 min - Can farmers stabilize their workforces by sponsoring them for citizenship? * 52:30 min - The outside groups (Silicon Valley, government, investors) coming into the Central Valley to fix the situation * 55:55 - Migrant camps and the challenge of finding housing for farmworkers * 58:30 min - Faith in the Valley, PICO and other state groups doing coalition work on immigration issues * 1 hr, 1:50 min - How farm diversification -- and the new legal marijuana industry - could affect the farm labor market * 1 hr, 6:15 min - The new guest-worker visa used to bring farm labor into California - is it helpful? * 1 hr, 9:10 min - For locally-grown food, does this mean a shift to smaller farms who use fewer workers? * 1 hr, 19:15 min - What can Californians -- as residents, consumers and eaters -- do to improve the situation in the Central Valley?